Most construction contractors got into the job because they like the work and have a special aptitude for it. That includes those who like us work in stamped concrete. If being a construction contractor is your chosen path in life, you’ve already spent the time to develop certain skills involved in building. Many of those skills do involve numbers – but they’re not the numbers that have dollar signs in front of them. Still, knowing how to compute your profits in losses is essential if you want to have more profits than losses. Let’s have a look at some important concepts to grasp and steps to take to understand your finances and make them work for you. First, we definitely recommend not trying to balance the books on your own. It might be fine if you understand it and you’re not doing much business. Obviously, your goal is to be doing a lot of business, though. And that means a lot of numbers, bills, and invoices to handle. So having someone qualified to handle this area is important, even if it starts as a part-time position. A bookkeeper will track all your income and expenses and make sure everything is in line. Preferably, you’ll be able to hire someone with experience in the construction industry who is going to understand the particular needs of your field. Of course, having a bookkeeper doesn’t mean you get to avoid the numbers completely. You need to have clear communication with this person to make sure you know exactly where your business stands financially. But allowing them to handle the day-to-day tasks of tracking and recording your numbers will take a huge load off your shoulders. There are a number of tasks a bookkeeper will help with. If you have regular employees or even if you hiring temporary workers as needed, you’ll have to pay them. That means tracking how much you owe them whether it be hourly or by project. 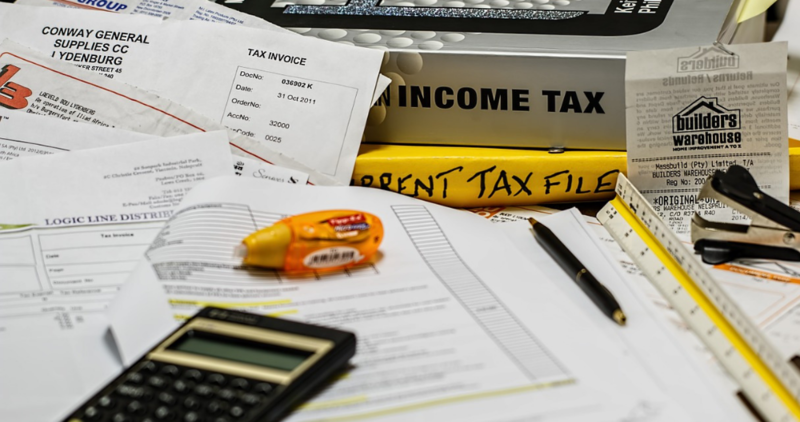 This can include a lot of tax-related documents, so it’s important that it be done correctly. You – or your bookkeeper – will have to make sure that you provide invoices or bills to your clients. That is, after all, how you get paid! Making sure these are correct and sent in a timely fashion helps avoid a lot of headaches. Of course, sometimes it’s necessary to follow up on billing as well, by sending reminders. And dispute resolution can also be involved here. Taxes are always a huge headache and can be hard to figure out. But if you’re a contractor working for yourself, you have to take into account special requirements for paying taxes. For instance, you may have to pay taxes quarterly based on your estimated income for the year. Depending on how your business is set up, there can be similar periodic arrangements. In this case, it might be helpful to have an accountant too so you can find the best options for your business and save in this area. 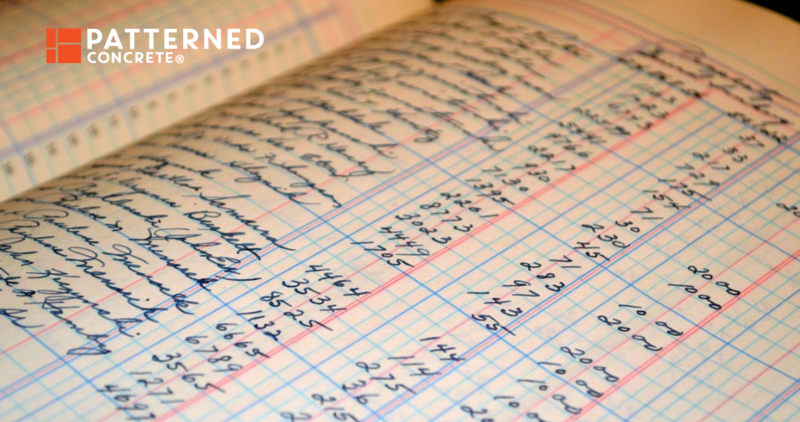 Learning your way around Excel or Google Sheets, or a similar program, will be extremely helpful for bookkeeping. 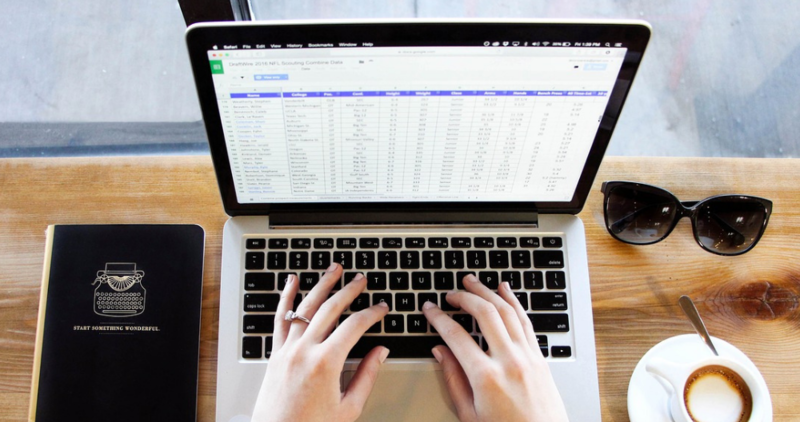 You probably don’t need a more complicated program but your bookkeeper should be able to get your finances set up and tracked in a spreadsheet. It’s definitely a lot easier than doing it in a ledger like in the “old days”! Another key “skill” that you have to develop for the financial side of your business is to keep all your receipts and other paperwork. It’s a necessity in any business to keep full and complete records of any transactions you make, both income and expenses. That includes everything from buying a new work truck to buying a screwdriver. It means documenting all contracts and recording when and how you were paid. If it seems like a lot of paperwork, it is. But if you want to be able to know where your money is going, it’s essential. And that’s not to mention that you need it for tax purposes too! Aside from the legal requirements, this paper trail is going to help you know the true cost and profit of each of your projects. That’s ultimately the only way to know if you’re pricing your services appropriately. Otherwise, you’ll never have an accurate picture of your business’ economic position. All those receipts, contracts, invoices, and other forms should be recorded by your bookkeeper and filed. There are laws that determine how many years different types of documents have to be kept as well. At the end of the year, completed files can be moved to archive boxes and marked for when they can be destroyed. You might feel your pockets and glove compartment are getting stuffed with paper as you go through the day, but it’s important. 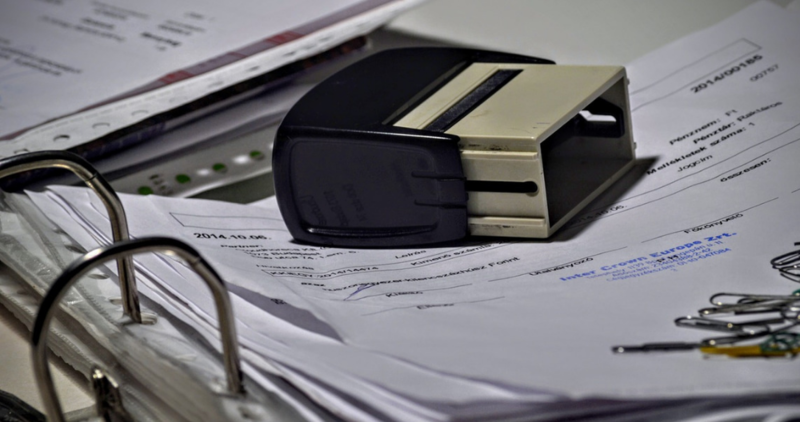 Develop the habit of retaining that paperwork early on because you’ll need it! Not only is it important to track your receipts, it’s also essential to keep track of time. Your overall costs have to reflect the time spent on your work. And that, like everything else, is bigger than the number of hours actually hammering, nailing, or pouring cement. It also has to take into account office work, time spent at conferences or trade shows, and yes, even the 10 minutes it takes to read this article. You’re not going to detail all that on a client’s invoice, of course, but you are going to use it to figure out what you should be charging for labour costs. There are also concepts and terms you’ll need to understand. These will help you make sense of your money and be able to plan for the future. For instance, you’ll have to have a basic understanding of concepts like depreciation, which is a reflection of how the value of an asset goes down over time due to wear and tear. As an example, your $35,000 new work truck is part of the value of your business. But after one, two, five years, it’s worth less than $35,000. Purchases like these depreciate over time. You’ll also need to understand concepts like assets and liabilities, revenue and the difference between gross and net income. There are also four key concepts you need to take into account in pricing your services: markup, costs, sales, and updates. Markup has to do with how much you actually need to charge for materials. Hint: it’s not what you paid, because you’ve added value to it in a way. Let’s use a simple example from another industry: retail. Your favorite big box store might be able to buy boxes of your kids’ favorite sugary cereal for $2.50. But they have to mark up the price because they are also transporting it to their store, paying utilities in the store, paying employees, and a whole host of other expenses related to that one box of cereal. So in the end, they charge you $5. It’s a big markup but it reflects work they’ve had to put into it. In the same way, as a contractor, you have to do your markups based on all the additional costs associated with providing the materials for the job. This is a little more obvious and you have to figure it into your markups anyway. What are you actually spending to get a job done? Remember that includes not just the time from when the contract is signed until the project is complete. It also includes your back office, your marketing and everything else involved in getting that job. And aspects like insurance and training are just as much a part of your costs as are tools and materials. Now we get to the part we like – the income we’re generating. But it’s important to look at how much you need annually in sales to cover your expenses and still turn a profit. Just because you make a large sale, it doesn’t necessarily mean you’re making a large profit. You have to judge it against the costs. In the midst of all of this, you have to constantly be sure your prices are up-to-date. Over the past decade, it’s easy to see this reflected particularly in the price of gasoline. The huge changes in the cost of fuel even over a couple of months’ time is just one example of how costs change. It’s important to not use outdated numbers when making calculations or bidding on jobs. You’re looking forward to the big numbers coming in, but to get to that point you’re going to have to track all your numbers correctly. By relying on the right people to assist you, being meticulous in your recordkeeping, and understanding some basic terms and concepts, you’ll be well on your way to knowing where you stand. Good bookkeeping knowledge is as important as being a competent tradesperson to help you make a great profit as a contractor!